There are two types of fried eggs lover : those who like their yolks runny, and those who don’t. If you are in the "runny yolks" team, you know that it is not easy to prepare the eggs that will meet your expectations. Because even if you have cooked this dish hundreds of times, it is often a matter of luck when you get the desired result. It's like flipping a coin ... half the time, we lose! The first challenge : do not break the yolk ! The second challenge : to make sure that egg white and egg yolk have the perfect texture! Indeed, it is rare that the white is well cooked and firm, and that the yolk is rich and oozing with flavor. To get great results every time, you need to think outside of the box! 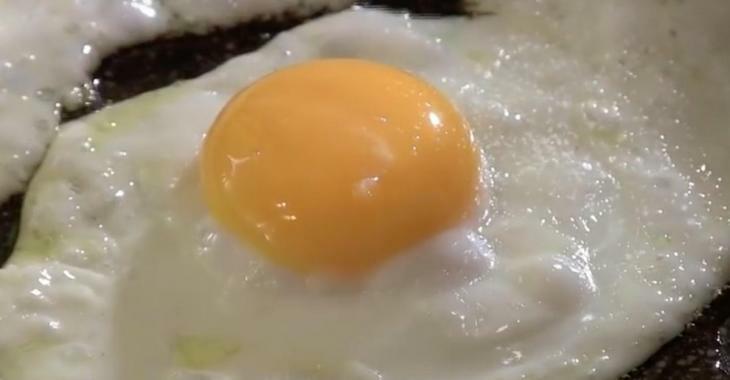 Here is the secret to prepare the perfect fried egg every time! Prepare two bowls for each egg, preferably plastic bowls. A deep bowl and a shallow bowl. 2. Then separate the yolk from the white (so the yolk in the shallow bowl, the white in the other). 3. Heat a frying pan of your choice. For this step, it is important to add enough grease to the cooking surface, otherwise your efforts will be useless. 4. When the pan is hot and ready to use, pour the first egg white directly onto the surface. 5. Bake the white slowly over medium-low heat until the color is almost opaque. NOTE: "Almost" is the important word here. Because if you wait too long, the white will be too slippery to have a yolk successfully stick to it. So be careful, and when you land at this point, move on to the next step. 6. Transfer the egg yolk gently in the medium of the white. 7. Bake for a few minutes, depending on how firm you like the yolk. And here is your perfect egg ! Are you going to try this tip ? It's not complicated and the result is worth it ! Your next brunch will be amazing !